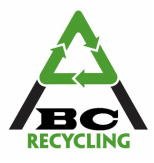 ABC Recycling is located on the North side of North Platte. Take Jeffers Street north, turn left on 8th Street, turn left onto Sycamore Street. Please contact us if you have any questions or comments about the services of our company.